Released for Sankranthi 2014, Yevadu, the Mega multi-starrer featuring the young guns Ram Charan and Allu Arjun, went on to become a huge blockbuster. 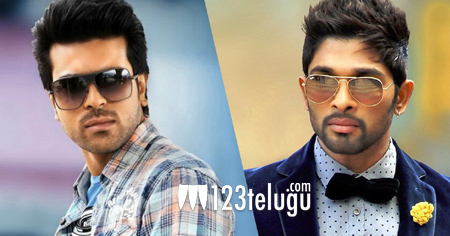 And if the latest buzz is anything to go by, Charan and Bunny may join forces for yet another multi-starrer. Apparently, noted production house Geetha Arts recently registered the title ‘Charan Arjun’ with the Film Chamber. This naturally led to an intense speculation which has it that both the young heroes will act in a film produced by Geetha Arts. However, we will have to wait until an official announcement is made in this regard. Meanwhile, Charan has just kick-started Sukumar’s film and Bunny has almost wrapped up DJ and he’ll move on to Vakkantham Vamsi’s Naa Peru Surya later this summer.